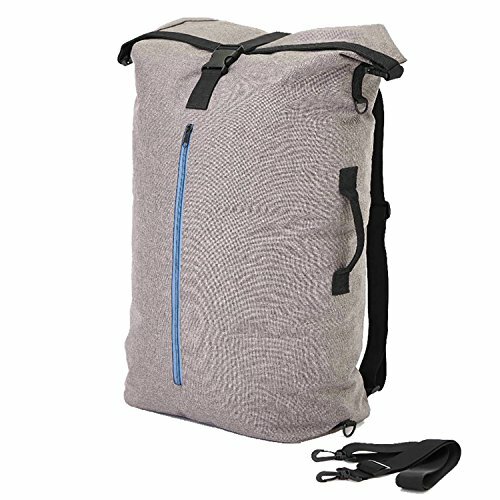 TRansport your laundry easily and pain free with the Home Intuition Backpack Laundry Bag. The Stylish yet useful design allows you to pack at least 2 loads of laundry in the bag with extra space for laundry essentials. The two shoulder straps allows you the wear the bag easily. The 2 locking straps make sure your clothes are securely locked inside the bag so it won't spill out on your way to the laundromat! Extra zippered pocket is great for holding detergent bleach softener and more! Bag Measures 20" x 30" x 8"
If you have any questions about this product by Home Intuition, contact us by completing and submitting the form below. If you are looking for a specif part number, please include it with your message.